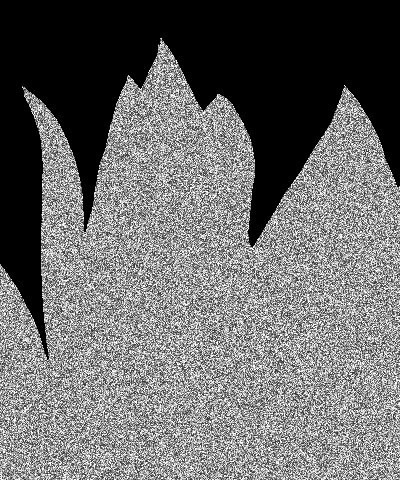 Alpha Pixel Noise adds noise to an image’s alpha channel. 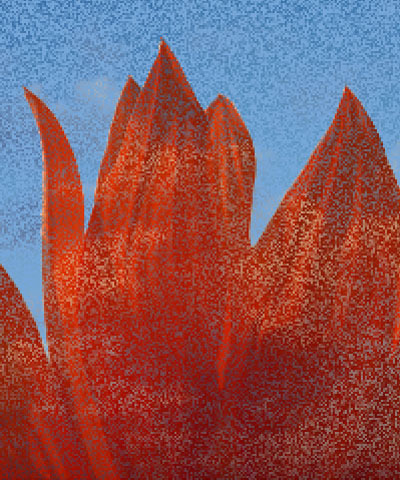 You can use this ﬁlter to create pixelated transitions between two images. Percentage sets the percentage of pixels affected by the noise. Alpha Offset adds or subtracts a ﬁxed value to the alpha channel of each pixel affected by the noise. Use Alpha Offset to make the same change to each affected pixel. Set Alpha Offset to –255 and Noise to 0 to make each affected pixel completely transparent, or Alpha Offset to 255 and Noise to 0 to make each affected pixel completely opaque. You can animate these settings to create noise transitions. Noise sets the amount of noise applied to each affected pixel. When Alpha Offset is 0, a Noise value of 0 applies no noise to any pixel, leaving the image’s alpha channel unchanged. 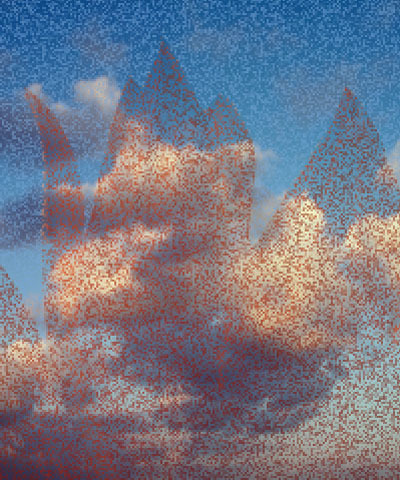 A Noise value of 100 makes all affected pixels completely transparent. The Action menu determines how the alpha channel is altered in each affected pixel. Transparency decreases opacity in the affected pixels. Choose Increase Transparency if the source image is completely opaque. Opacity increases opacity in the affected pixels. Choose Increase Opacity if the source image is fully transparent. Random Seed determines the value input to the random number generator used by the ﬁlter. Adjust this value when you like the overall effect but want to adjust the random conﬁguration of the noise pattern. 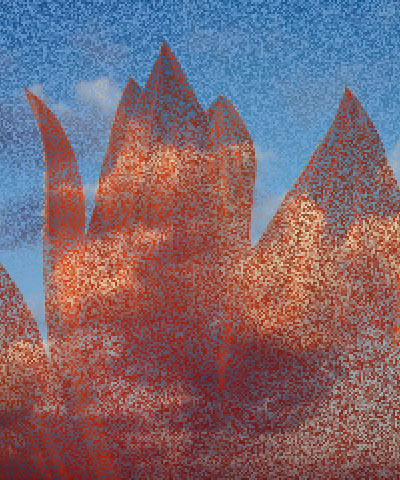 Perturbation and Perturbation Seed add a small amount of randomness to the numbers produced by Random Seed, allowing you to create noise patterns that differ from frame to frame by a controlled amount. The best way to do this is to make sure that Perturbation Seed changes by at least one unit from one frame to the next, unless you want the noise pattern to be the same for some consecutive frames. Then adjust Perturbation until you get the desired amount of change.